There are multiple artists with this name. Following are listed in order of prominence:  Il Volo (Milano, Lombardia, Italy, 1974 - 75): Usually described as a ?supergroup?, Il Volo was a studio band formed by very popular musicians all coming from famous bands: Alberto Radius and Gabriele Lorenzi from Formula Tre, Mario Lavezzi from Flora Fauna Cemento and Camaleonti, Bob Callero from Osage Tribe and Duello Madre, Gianni Dall'Aglio from Ribelli, along with composer Vince Tempera who also had his own band Pleasure Machine. Il Volo (Milano, Lombardia, Italy, 1974 - 75): Usually described as a ?supergroup?, Il Volo was a studio band formed by very popular musicians all coming from famous bands: Alberto Radius and Gabriele Lorenzi from Formula Tre, Mario Lavezzi from Flora Fauna Cemento and Camaleonti, Bob Callero from Osage Tribe and Duello Madre, Gianni Dall'Aglio from Ribelli, along with composer Vince Tempera who also had his own band Pleasure Machine. Il Volo: Italy, 2009) In May 2009, three fresh-faced teenagers, Piero Barone (17), Ignazio Boschetto (16), and Gianluca Ginoble (16), appeared on the popular Italian talent show ?Ti Lascio Una Canzone? and dazzled television viewers with their flawless rendition of the Neapolitan standard ?O Sole Mio.? The boys, who won the competition easily, decided their group needed a name. ?Il Volo,? meaning ?flight,? was chosen to signify the feeling that these three young tenors were about to spread their wings and fly. It wasn't long before IL VOLO's managers ? Michele Torpedine (who has looked after the careers of Andrea Bocelli and Italian rock star Zucchero) and world renowned singer/producer Tony Renis ? landed a worldwide recording contract for the trio with Universal Music Group which released IL VOLO's self-titled debut album in Italy November 2010. The album is already certified gold and on its way to platinum status in their home country and will see a worldwide release in 2011. 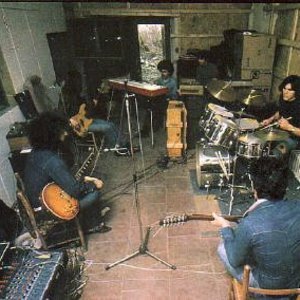 In addition, the group became the first Italian artists to sign with Geffen Records in the United States, where the album will also be released in 2011. Piero, Ignazio, and Gianluca recorded Il Volo in Los Angeles and Rome, as well as at London's famed Abbey Road Studios with Renis and veteran producer Humberto Gatica (Andrea Bocelli, Josh Groban, and Celine Dion). IL VOLO's 12 tracks include both classic and new compositions: their version of ?O Sole Mio,? ?Il Mondo,? ?E Pi? Ti Penso? (a medley of Ennio Morricone songs from the soundtracks to Once Upon a Time in America and Malena), ?El Reloj? (a brand-new song sung in Spanish), ?Smile? (written by Charlie Chaplin for his film Modern Times and later popularized by Nat King Cole), ?Notte Stellata/The Swan? (from the well-known musical theme composed by French composer Camille Saint-Sa?ns), ?La Luna Hizo Esto? and ?Painfully Beautiful? (both written specially for IL VOLO by multi-platinum songwriter Diane Warren), ?Per Te? (written by multiple Grammy Award-winning songwriter/producer Walter Afanasieff), ?This Time? (a new song written by Michelle Lewis) and ?Un Amore Cos? Grande? (a classic from the late '70s Italian music tradition). In February 2010, legendary producer Quincy Jones invited the boys to represent Italy by singing on the charity single ?We Are The World: 25 for Haiti,? where they impressed such superstars as Celine Dion, Barbra Streisand, and Josh Groban during the recording session. A few days later, the group returned to Italy to perform during the 60th annual Sanremo Music Festival, a prestigious event attended by such luminaries as Queen Rania of Jordan and popular TV host Antonella Clerici. They may be young, but IL VOLO's mission is clear: ?We want to share our love for this music with people all over the world, including kids our own age.? That they say ?would be our dream come true. ?